I am not keen on mass production cards for celebrations. I appreciate they are cute and that they might be easy when in a setting with many children, but I do feel making individual cards can be just as simple to do. I set out a table with lots of different Christmas realtaed items, pens glue and different coloured card and ask the children to make a card for a loved one. The different ideas that they come up with and the items they choose to use results in a truly unique card that is bright and beautiful! 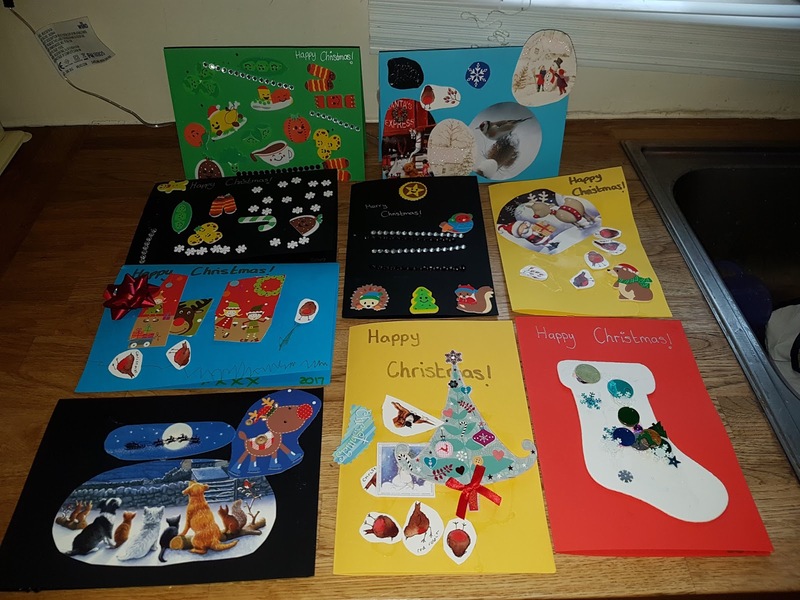 As a parent I would be much happier receiving something that my child had created using their own imagination and that was personal to me and my child than a mass produced card that everyone else received and that my child had little creative input in to. So next time you need to make a card for a celebration, ditch the Pinterest ideas and just let the kids create their own. See what you think! “HOW TO MAKE”………. PINE CONE CHRISTMAS TREES!